One of the most interesting four-axle models Electro-Motive produced was the rare GP5. From a technical standpoint EMD never classed or offered such a locomotive in its catalog and simply referred to them as a GP9 (or GP9M, the "M" referring to modified). However, the Great Northern came up with the GP5 designation itself, in part because the diesels offered a lower horsepower rating than a standard GP9. The railroad only acquired a handful of these Geeps during the late 1950s and used them in regular service for nearly three decades before most were retired and eventually scrapped. A few, though, were further rebuilt by Burlington Northern during the early 1990s. Today, no examples of this model are known to be preserved. Electro-Motive's GP9 model, first cataloged in 1954, followed up its extremely successful GP7 that had debuted in 1949. In many ways the GP7 completed the job that had been started by EMD's popular cab unit, the FT, a decade before; silencing the reign of the steam locomotive. After World War II EMD, and all manufacturers, ramped up production of new diesel models. In the case of Electro-Motive it had already proven itself as an established and reliable builder through the FT that first hit the market in 1939. During 1948 the company decided to branch out of the cab unit line, which had been so successful, and began cataloging its own road-switcher, beginning with the BL2. This type of locomotive was first introduced by the American Locomotive Company in 1941 and Alco had had very good success with its initial RS1. This type of locomotive featured an off-set cab with long and short hoods on each end. It was more powerful than a switcher and designed for use in standard road service but its utilitarian nature and good visibility meant it could also be used in switching and other various light duties. Unfortunately, the BL2 proved less than successful, which was basically a combination cab unit and road-switcher melded into one. By 1949 the 1,500 horsepower locomotive had sold just 58 units. Not to be deterred, however, EMD engineers went back to the drawing board, tweaked the design just a bit, and came up with the GP7 later that year (1949). This time railroads responded quite positively and sales took off. By the time production had ended in 1954 EMD had sold more than 2,700 units. That same year the builder released an upgraded version, the GP9, which was slightly more powerful offering 1,750 hp. Even more successful than the GP7 the latest sold more than 4,000 examples and firmly entrenched EMD as the preeminent builder of that era. 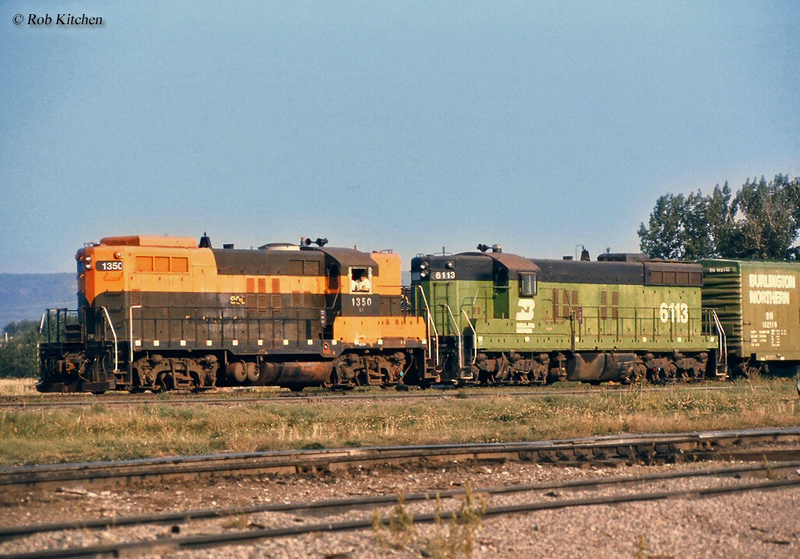 The GP9's success also meant the venerable cab unit, which had also witnessed very high sales numbers for EMD through the F7, was on its way out. After 1953 (the final year the F7 was offered) future models saw only a few hundred sales. Interestingly, not all railroads were interested in purchasing new, out-of-the-box GP9s. Most notably was the Great Northern, which embarked on a rebuild program that was very likely the first of its kind at that time. Instead of purchasing brand new locomotives from EMD the railroad requested that parts from its older FTAs and FTBs be reused to reduce costs. By the late 1950s these cab models were nearly 20 years old (the GN owned 51 A units and 46 B units) and had seen millions of miles of service. The railroad also had already purchased 56 new GP7s (numbered 600-655) between 1950-1953 and 79 additional GP9s (numbered 656-734) from 1954-1959. The new "GP5s" began arriving on the railroad during February of 1958. 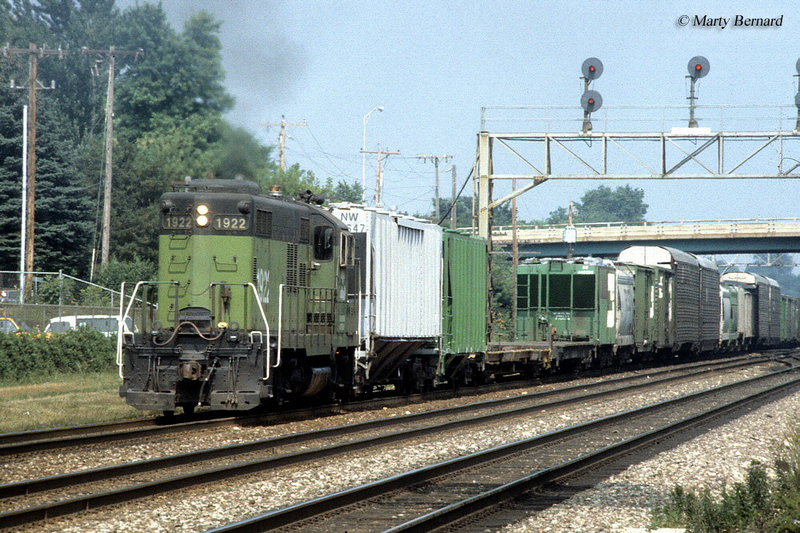 The units reused various components of the FTs from generators (the FT carried the General Motors' D12 model while the GP9's were equipped with the upgraded D12B) to trucks (these were merely reused Blomberg's as the two models carried the same design). The most notable difference between the designs was the horsepower rating; the GP5 carried only 1,350 hp some 400 hp less than its counterpart, which was due to the older generator being rated lower than the newer D12B. Since these variants were essentially rebuilds they would be classed as GP9Ms in today's lexicon. However, Electro-Motive simply listed them as standard GP9s. In any event, the Great Northern itself came up with the term GP5, which is how the designation came into use. In all, the railroad rostered sixteen examples of these de-rated GP9s, #900-915, and all were delivered by April of 1959. 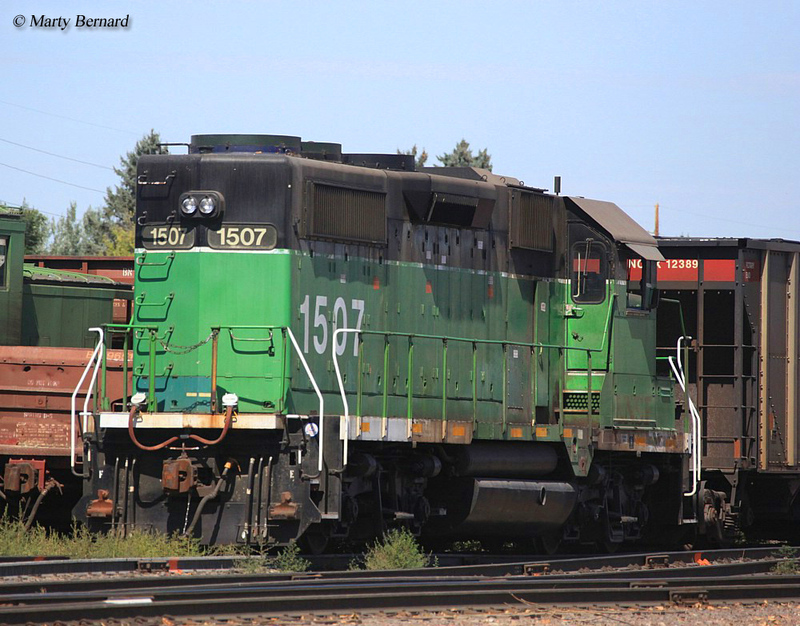 After the GN became part of the much larger Burlington Northern in 1970 the GP5s were renumbered 1350-1365 where they continued in service for over a decade. Finally, BN began retiring the fleet by the mid to late 1980s. However, six remained within the fleet and rebuilt as GP28Ms by Morrison-Knudsen in 1992. Incredibly, these units are still believed to be operating as part of today's BNSF Railway fleet (though no, original GP5s are preserved).